You should by now have received through your letter box the new St James diary which gives the programme of events right through to the end of June. It is in a different format this time, being an A5 sized booklet and we hope that you like the changes. We have moved to this format as there was not enough space in the old style leaflet for all the events that are now happening at St James. The new style booklet also means that it is in a format that can be printed locally, since we are keen to support local businesses as much as we can. As well as the new style we have taken the opportunity to rearrange the content by genre, so that it is easier to find the events that are of interest. You will see that there are now separate sections for Comedy, Classical, Choral, Live Music and Speakers, together with a final section of Other Events. This responds to comments that it was becoming more difficult to find events of interest in an increasingly busy diary. The new diary makes it easier to see, for example, that the number of classical events is actually increasing, with eight classical concerts and a further five choral concerts during the period. We hope that you will want to keep the diary by you so that you can be reminded of all that’s on over the next few months. If you would like any extra copies, these can be picked up at St James. As well as some exciting classical events in the diary, several of them featuring leading up and coming musicians from the Young Classical Artists Trust, we now have a regular Comedy evening each month and a new monthly series of “St James presents” featuring mostly local bands. If you have not yet seen St James transformed into a live music venue with a full bar in the Hall and a very relaxed atmosphere, we would encourage you to “give it a go” as we think that you will be impressed. This is all part of our aim to open up St James to the whole community of Guernsey and to put on events which appeal to all tastes. All these events will go on sale in line with the new rolling programme of releases which we announced in the last Newsletter. The details of the release dates are contained in the diary but the general aim is to release tickets to our Friends around four months in advance, and to the general public around three months in advance. We are particularly excited to announce that the Shakespeare Globe Touring Company have been booked for a four night stay from 17th to 20th July. Anyone who has seen them perform at the Globe Theatre in London will realise that we are in for a real treat. They have included us in their summer touring season of major playhouses in the UK and abroad. This is their first and only performance in the Channel Islands and we hope to make it a regular event. We are very grateful for the generous sponsorship from Butterfield Bank and from the BWCI Group which has made this event possible. Further details are in the diary, but do look out especially for the Saturday night performance. This is an informal evening, with no fixed seating and no fixed programme! Instead, the audience will decide on the night by clapping and shouting which of the three plays will be performed that day. The cast will then immediately revert to their roles for that play and start the performance. This is entirely new for Guernsey but has been a great success elsewhere and we are very much looking forward to the experience.  We continue to develop the website and, as requested at the AGM, have now included (in the “About” section) details of the St James team and relevant articles, including these Newsletters. We will shortly be developing the “What’s on” section to include the categorisation of events to follow the changes that we have made in the latest diary. In the last Newsletter we mentioned the problems that we had encountered with the heating in the main Hall. We installed temporary electric fan heaters to heat the Hall while we investigated permanent solutions. These have been helpful but are not a complete solution, especially since there is a maximum power supply which can be provided to St James from the electricity sub-station, and we found that we could not power both the heaters and the stage lights at the same time. We appreciate that the Hall has not always been as warm as we would wish and we are grateful for everyone’s forbearance in coming with extra layers of clothes while we worked through the problem. Thankfully, the Dorey Centre has remained warm so that the bar has proved increasingly popular! The St James Board and the management team has been working hard on a permanent solution which meets the restrictions of St James being a listed building and one which can be provided within the available power supply. We are awaiting final technical reports before making decisions but we are confident that this will all be resolved over the summer so that we will be back to normal by next winter. We should have further details to report in the next Newsletter. At the same time we have also needed to address the stage lighting and the scaffolding truss on which the lighting is fixed. We have found that it has reached the end of its life and no longer meets current health and safety requirements. As a result we have ordered new stage lighting and a new more flexible truss system to mount the new stage lights on. This is due to be installed in the next few months. An advantage of the new stage lighting is that it will be much more energy efficient and so will save money over time. We believe that the new truss arrangements will also be more sympathetic to the building. Over the past two months the St James Board has been developing a strategy for 2019 which builds upon the changes which we instituted last year. Those changes were intended to address the operating deficit which had been threatening the long term future of St James. Although 2018 still showed an overall deficit, it was much reduced on previous years and was in line with the budget set for the year. The target for 2019 is to end the year in a stable financial position, and with no ongoing operating deficit. To do this we need to continue to extend the range of St James performances throughout the year, since this is necessary both to stabilise the financial position and to provide a broader range of events intended to appeal to the whole community of Guernsey and, in particular, a younger audience. The strategy also includes installation of a new heating system and stage lighting system in the Hall, the development of an updated system of management controls and reporting and increased engagement with our longstanding Friends and hirers in order to build upon their ongoing support and goodwill. We will be able to report progress against these objectives later in the year. Last but by no means least we welcome Helen Holmes to the team as our newest member of staff. Helen will be assisting in the accounts team and will be manning our increasingly busy box office. She will also be providing assistance in Café St James during our busy periods. We are very pleased to announce a new partnership with the OGH, who will be offering a pre-show dinner menu at the special price of £20 for two courses, or £25 for three. The menu is available between 6pm and 7pm for guests attending events at St James. There is no need to pre-order the food, just phone the OGH on +44 (0) 1481 738604 to book your table and remember to bring your event ticket along.